By Gaetano N. Pastore, M.D., F.A.C.C. Atrial fibrillation (AFIB) is characterized by erratic, irregular and rapid heartbeat that originates from the upper chambers of the heart. The likelihood of developing this disorder increases with age. AFIB is usually not a life threatening disorder but it does cause two major problems. It may cause patients to have symptoms of palpitations, “heart fluttering,” chest pain or a “pressure” sensation, shortness of breath, lightheadedness as well as fatigue and poor exercise tolerance. This can be intermittent or persistent. A potentially more serious problem is that AFIB can lead to blood clot formation in the upper chambers of the heart. This blood clot can then travel to the brain and cause a stroke. This is the most feared complication of AFIB and this, unfortunately, is not uncommon. Stroke is more common in the older patient and is seen more commonly in patients who also have other common medical problems such as heart valve disease, thyroid disease, heart failure, diabetes and high blood pressure. It is not uncommon for atrial fibrillation to be discovered as the cause after the first stroke in older adults. AFIB is difficult to treat as most of the medications available to control the rhythm are often not very effective. There are a select few medications that work better at controlling the rhythm than others but the side effects can be problematic in some patients. When patients fail medications or are intolerant to them, radio frequency ablation is considered which involves an invasive procedure placing catheters through the skin into the heart locating the origins of the rhythm disturbance and then applying radio frequency to “ablate” and thus terminate the arrhythmia. While this procedure can rid some patients of AFIB long-term, its ability to do so is limited and is said to be effective in about 65-75% of patients on the first attempt. On the contrary, there are very effective medications to significantly reduce the risk of stroke. These medications, commonly known as “blood thinners,” have been shown to reduce the risk of stroke in patients with atrial fibrillation by as much as 75%. Among the blood thinners available, warfarin (Coumadin) has been used for the longest time but is now being supplanted by the newer generation of blood thinners which in some cases are more efficacious and have a lower serious bleeding risk than warfarin. The main drawback with the newer medications is the cost. The most important step patients can take is that if they feel symptoms that they believe may represent AFIB to contact their doctor. Often your doctor can detect AFIB by physical exam and certainly by a 12-lead EKG done in the office. Often times AFIB is intermittent and therefore is often missed in the office setting. In that case when your doctor is suspicious you may have AFIB he may choose to ask you to wear a home heart monitor for a period of time (up to 30 days) in an effort to increase the chances of discovering this rhythm problem. If your doctor remains suspicious of a heart arrhythmia despite not being found on the extended wear monitor, he may choose to consider implanting a small monitor underneath the skin in the chest wall. These latest generation monitors are essentially painless to implant and can be done in the hospital as a same day short stay procedure. These monitors can record a patient’s heart rhythm for up to three years, greatly increasing the likelihood of discovering AFIB and therefore potentially preventing the most feared complication of stroke. 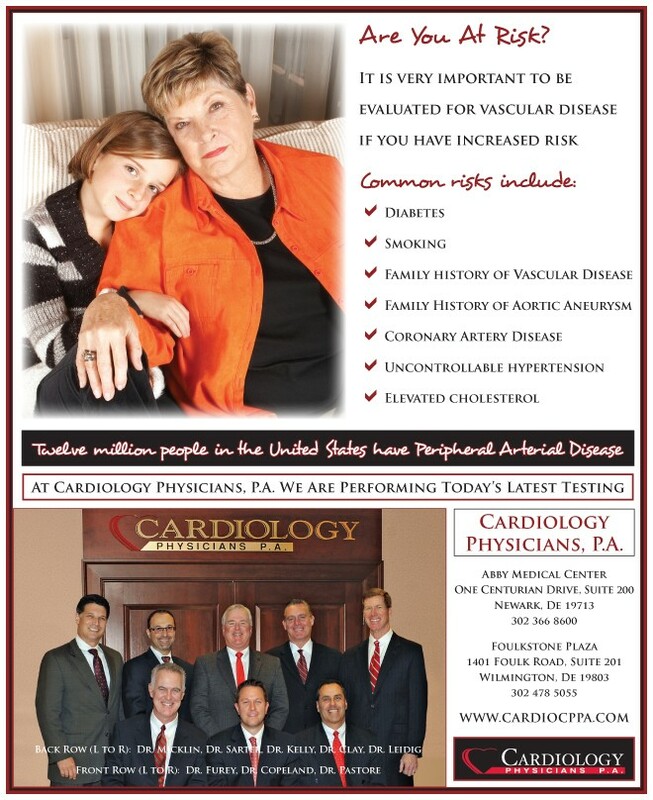 Dr. Pastore has been a member of Cardiology Physicians, P.A. since July of 1998. He attended Villanova University graduating with honors. He attended the Milton S. Hershey Medical Center of the Pennsylvania State University for his medical degree. He completed his Internal Medicine residency at Hahnemann University Hospital and his cardiovascular fellowship at the Hahnemann University Heart Hospital in Philadelphia. Dr. Pastore has contributed as a co-author on papers that have appeared in the New England Journal of Medicine and has presented at the Annual Scientific Sessions of the American College of Cardiology. The Christiana Care Family Practice Residency Program has recognized Dr. Pastore as an outstanding teacher/preceptor. He is an active staff member at the Christiana Hospital System. He is a fellow of the American College of Cardiology and served as the Governor of the American College of Cardiology for the state of Delaware. He is currently serving his fourth consecutive year as president of Cardiology Physicians, P.A. He remains an active ACC member with a strong focus on patient advocacy and quality care improvement serving on national physician and patient advocacy committees. Dr. Pastore has a strong commitment to clinical and consultative cardiology with a special interest in echocardiography. This includes transthoracic, transesophageal, and stress echocardiography. He has expertise in the interpretation of nuclear imaging in cardiovascular medicine. 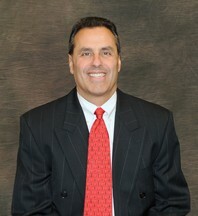 Dr. Pastore resides in Avondale, Pennsylvania with his wife Linda and three children Mia, Luke and Gianna. He enjoys spending his spare time with his family, generally on vacation in warm climates. Dr. Pastore enjoys tending to his 183 gallon saltwater coral reef tank and is an avid fan and owner of thoroughbred racehorses.